before Yannick Bolloré assumed responsibility for the Havas Worldwide creative business in late 2016, following the exit of global CEO Andrew Bennett. Vincent Bollore heads Groupe Bolloré and is also the chairman of Vivendi and a shareholder in that company as well as Havas - his son Yannick Bollore is CEO of Havas. Havas Creative Group CCO and Red Agency CEO James Wright tells AdNews the move has been on the cards for some time. "If this move closes it will be the bringing together of two highly complementary and world class organisations. It would put us in a unique position to benefit from the rapid convergence we are seeing between data, content and communication to further build market-leading innovative and effective client solutions," Wright says. Havas said in a statement the deal would help Vivendi preserve jobs and enter a new phase of development. "If Vivendi's offer is accepted, Vivendi would enter a new phase of development to accelerate its building of a leading world-class content, media and communications group and will ensure the newly created group a unique positioning in an environment in which content, distribution and communications are converging," the statement said. "If this transaction is successful, it would enable Havas to leverage Vivendi's skills in talent management, content creation and distribution. In return, Vivendi will gain access to Havas' expertise in consumer science, data analytics and new creative formats. "Vivendi wishes to preserve jobs and to allow Havas to develop its business in an industry which is undergoing rapid consolidation and is threatened by increasing competition from companies coming from other sectors." 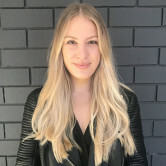 Havas Media CEO Mike Wilson recently told AdNews the agency is interested in doing more with Vivendi and tapping into its brands, suggesting a merger could benefit the Australian shop. To read more from Wilson and on Havas Australia, you better pick up the May magazine of AdNews. Subscribe here. Vivendi, the owner of Universal Music and French film and television studio and distributor Canal, is to buy Havas in a long-expected merger that will create an advertising, media content and entertainment giant. The deal sees Vivendi offer to buy a US$2.56 billion chunk in the group from Havas owner, Groupé Bolloré, equating to an approximate 60% stake. The Bolloré family already owns a 20.4% share of Vivendi. 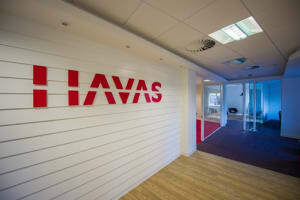 The possibility of the merger between the two companies has been speculated since before Yannick Bolloré assumed responsibility for the Havas Worldwide creative business in late 2016, following the exit of global CEO Andrew Bennett.